The U.S. Air Force is seeking more upgraded Maverick air-to-ground missiles, an air-launched weapon in service since the Vietnam era now receiving an upgraded laser-seeker along with new software configurations. The upgraded weapon is currently configured to fire from an Air Force F-16 and A-10 and Navy Harrier Jets and F/A-18s. “The upgrades are not completed. Raytheon Missile Systems will deliver several hundred upgraded Guidance Control Sections from January-June 2018. In addition, the U.S. Air Force is currently in negotiations with Raytheon for additional upgraded GCS for delivery after 2018,” Air Force spokeswoman Capt. Emily Grabowski said. 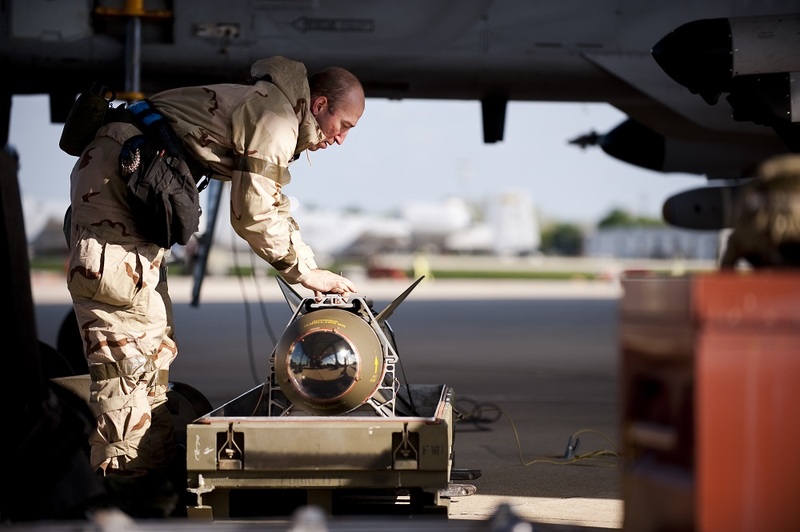 U.S. military weapons developers have explained that the Laser Maverick — or LMAV — E2 seeker upgrade is capable of precisely targeting and destroying a wide variety of fixed, stationary and moving land or sea targets. The LMAV E2 upgrade program has been implemented as a seeker and sustainment upgrade, she added. The Air Force has been attacking Islamic State with the upgraded Maverick through a prior deal to receive 256 missiles from its maker, Raytheon. There is an existing laser-guided version of the Maverick already in use. The new variant involves a substantial improvement in the weapon’s guidance and targeting systems. The AGM-65E2, as it’s called, will continue to be used to attack Islamic State as part of the ongoing Operation Inherent Resolve, U.S. military officials said. Such a technology is of particular relevance against I.S. because the ongoing U.S. aerial bombing has made it virtually impossible for the militant group to gather in large formations, use convoys of armored vehicles or mass large numbers of fighters. As a result, their combat tactics are now largely restricted to movement in small groups such as pick-up trucks or groups of fighters deliberately blended in with civilians. This kind of tactical circumstance, without question, underscores the need for precision weaponry from the air – weapons which can destroy maneuvering and fast-moving targets. As opposed to being a free-fall weapon, the Maverick has a rocket on it; it travels faster and has maneuverability to follow a laser spot on a fast-moving pick-up truck, Raytheon developers told Scout Warrior. The Maverick uses Semi-Active Laser, or SAL, guidance to follow a laser “spot” or designation from an aircraft itself, a nearby aircraft or ground asset to paint the target. For the upgrades, existing AGM-65A/B Guidance and Control Sections are modified with a state-of-the-art, semi-active laser E2 target seeker. 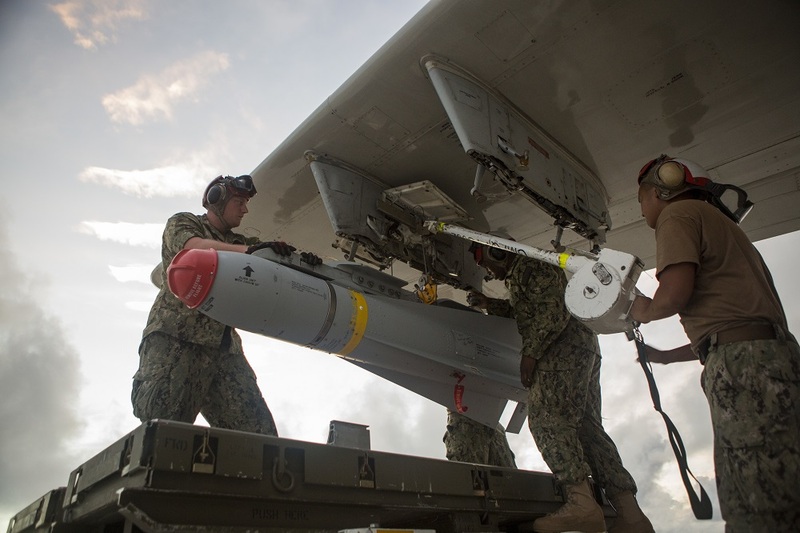 The missiles with upgraded seekers add the capability to self-lase from the delivery platform, address numerous changes in response to parts obsolescence, and add pulse-repetition frequency (PRF) code to ease pilot workload. The weapon can also use infrared and electro-optical guidance to attack targets. It can use a point detonation fuse designed to explode upon impact or a delayed fuse allowing the missile to penetrate a structure before detonating as a way to maximize its lethal impact. It uses a 300-pound “blast-frag” warhead engineered to explode shrapnel and metal fragments in all directions near or on a designated target. Also, in the event of losing a laser lock, the upgraded missiles are able to de-arm and fly toward its last seen laser spot; and will re-arm and guide back to a target with laser reacquisition. Fighter pilots describe the Maverick as a weapon of choice for fast-moving and rapidly maneuvering targets, according to developers. In addition to its role against ground targets, the Maverick weapon able to hit maneuvering targets at sea such as small attack boats. This article originally appeared at Scout Warrior.